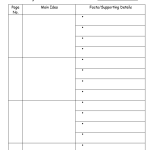 Visit our new Graphic Organisers page. 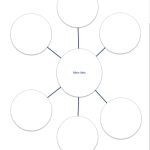 A concept map helps children to organise and identify the main idea/s of a text and the supporting facts. Write or draw. Think of and record connections made to the book. 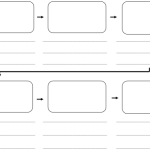 Connections refer to: ‘A time in my life’, ‘Another book’ and ‘A person I know’. 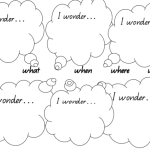 Another resource which supports children as they learn to self-question. 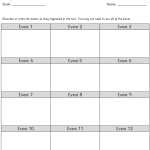 Can be filled out after or while reading. Children write questions that they asked themselves. Before reading, children should activate their prior knowledge on a topic. 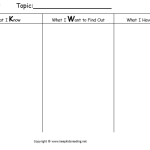 3 columns- ‘What I know’, ‘What I want to find out’ and (to use as a discussion after reading) ‘What I have learnt’. 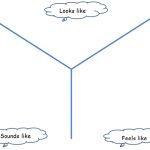 Children think about what the setting, (event or even character) looks like, sounds like and feels like. This is designed to help children paint a vivid picture of the book. 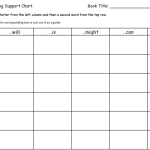 Helps children summarise texts. Children find the main idea from specific pages and identify supporting facts, ideas and details. 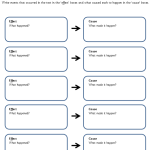 This chart assists children in coming up with a range of questions to ask during and after reading. 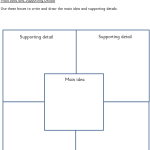 A template to help visualise the structure of a text. 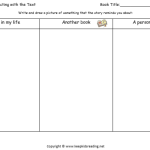 Identify the type of text, setting, characters and key events. Helps children order the events of a story. Can be used for fiction or non-fiction (ie. listing the steps in a procedure). Allows children to work on using context clues in the text and images to work out what words mean. 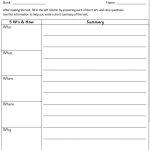 After reading, summarise the text by firstly answering Who, What, When, Where, Why and How. Learn about cause and effect. Identify what happened and what caused it to happen. 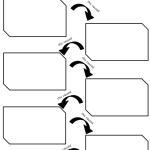 Learn about cause and effect by linking the events of the book in an ordered manner. 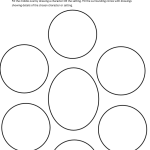 Fill the middle oval by drawing a character OR setting. Fill the circles with drawings of details of the chosen character/setting. 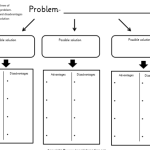 Create new solutions for a problem in the book. List the advantages and disadvantages for each. 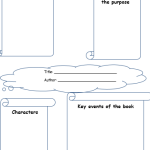 Map out the events of a book. Draw and/or write. 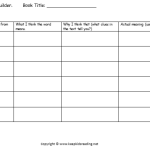 Identify the main idea of a page/chapter/book. In the surrounding boxes, list the supporting details.